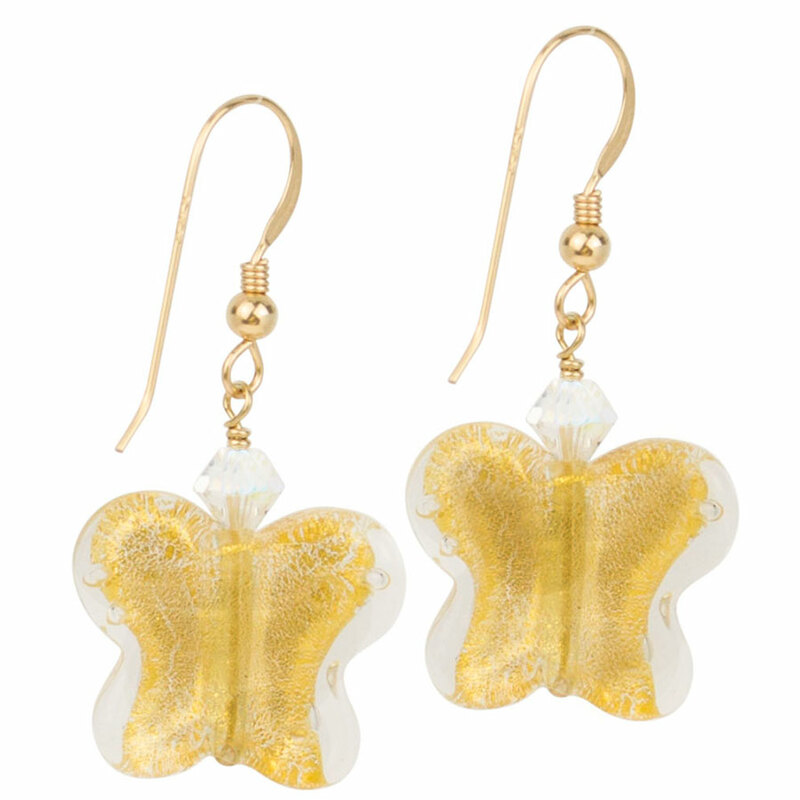 Beautiful Venetian glass Butterfly beads in 24kt Gold Foil encased in clear Murano Glass with a matching Swarovski Crystal. Each bead is handmade over a torch and subject to slight variations. The earwires are Gold Fill. Lightweight and go anywhere, jeans, suit or evening wear. The bead is about 18mm across and 8-9mm thick. A little over 1/2 inch.